College rejections are never happy affairs. It was bad enough when you endured it, but watching your child's face crumple with sadness or anger as he opens that dreaded envelope is heartbreaking. Fortunately, this too shall pass and years from now the contents of that "We regret to inform you..." missive won't matter anymore. In the meantime, there are tissues to dispense, realities to face, and some comfort to be had. And if you've got younger children who will be applying in the years to come, there are some lessons to be learned, too. 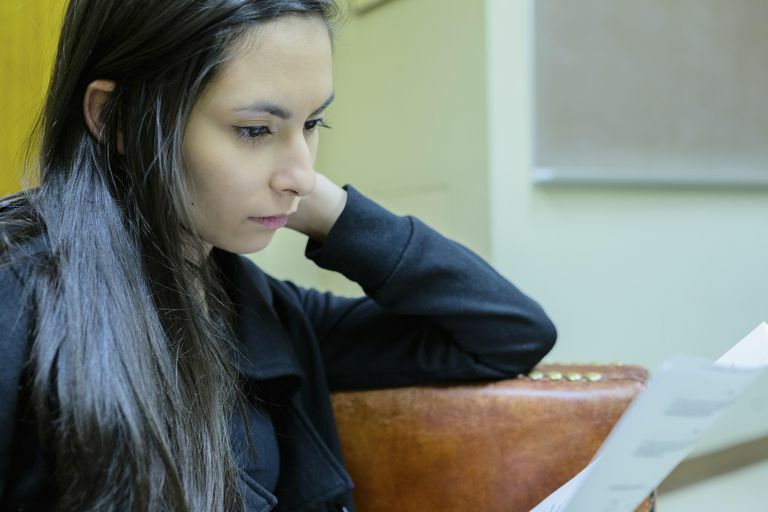 Here are several pieces of advice to keep in mind if and when your kid doesn't get the news they were hoping for from their top-choice college. No Matter the Specifics of the Rejection, Remember, It's Not About You: First, understand that your child's reaction may not be the same as yours. You may be crushed that he didn't get into your alma mater or dream school, while he may be secretly relieved. His priorities may have shifted considerably from when he first applied. Or, he may have felt pushed into applying. In any case, offer comfort but take your cues from your child. Don't let your sadness color his reaction, and be aware that he may be more upset about disappointing you than about not getting in. Attitude: You both knew there would be some rejections mixed in with the acceptances. Whew. Now that that's out of the way, you can move on. It is, after all, the college's loss, because your child is awesome. Hindsight: It's important that parents not allow their dreams to drive their children's decisions about where to apply, especially when the parent's "dream school" or alma mater is out of his reach. Heck, you might not be able to get into your alma mater now either. What to Do If the Rejection Came From Their Dream School: Counsel patience. He still has many options, including going to a community college and doing well enough there to transfer, taking a gap year and re-applying, going to a different 4-year school and applying to transfer or, best of all, going to that different 4-year school and discovering it's absolutely wonderful. Meanwhile, he doesn't need to make any decision until May 1. Wait until the acceptances roll in, go and visit those schools, and make a decision then. And bear in mind that some wonderful universities still have availability for new applicants even in May and June. Attitude: There's not one perfect school. There are many. And there's still plenty of time to explore options. Meanwhile, pass the tissues. Hindsight: During the college apps process, it's best to discourage your child (and yourself) from designating anything as his top choice. Wait until all the acceptances are in, then prioritize. How to Handle the Humiliation Factor: Is your child worried about humiliation? There's a lot of peer pressure on high school campuses, especially those with strong college-bound tracks. But the truth is, many of your child's classmates are getting rejected, too—many from the same school(s) that denied your child a spot. So your child will actually find comfort—or at least shared misery—among his classmates. Attitude: Big U rejected thousands of fantastic kids, including your child and some of his classmates. It's not a reflection of him, it's a reflection of the times. Hindsight: Many kids keep their college plans under wraps until the end. They may refer vaguely to applying to "some state schools" and "a few privates," or say they're "planning to stay on the West Coast," but they don't name names. It's not a bad idea. What to Do If the College Rejection Was One of Many: This isn't the first rejection, it's the 12th? Something went very wrong when your child was choosing colleges to apply to—and that something may have less to do with your child's abilities and more to do with your family's grasp of what was possible. What's important here is to stress to your child that these were all "reach" schools and that he perhaps applied to too many schools with similar profiles. So it's not really 12 rejections. It's one, repeated a painful number of times. Fortunately, there are still options. See above. Attitude: There are many wonderful schools out there and there's still plenty of time. Hindsight: When applying to college, it's critical that kids compare their stats—GPA and test scores—against the university's freshman class, and make sure it's a good fit. Applying to 12 reach schools does not increase the odds. It just increases the number of rejections. What to Say If Your Child Was Rejected From All But Their Safety Schools: He was rejected from everything but his safeties? Stop calling them safety schools. An acceptance is an acceptance and that's wonderful news. Now go visit and enthuse over every wonderful thing you can. Look, trees! Ooo, pretty view! Buy a sweatshirt. Be excited. Attitude: What a wonderful college. Hindsight: In the same way you shouldn't designate a top choice, don't call any school a "safety." They're "excellent schools and excellent fits." And your child shouldn't be applying to any school he wouldn't want to attend, anyway. What to Do If Your Child Is Taking the Rejection Personally: Your child feels unwanted? It's natural for a teen to take his rejection personally. Truth is, competitive colleges end up rejecting thousands of spectacular kids. Allow him time to grieve, but reassure him that it's the college's loss, not his. If it's any comfort, admissions deans say they know it's their loss too. Hindsight: If your child was applying to private universities, sometimes the deciding factor between equally well-suited applicants is that one simply sent in the paperwork, while the other also visited the college and stayed in close contact, something admissions officers call "demonstrated interest." Colleges like to admit the students who are most likely to actually attend.